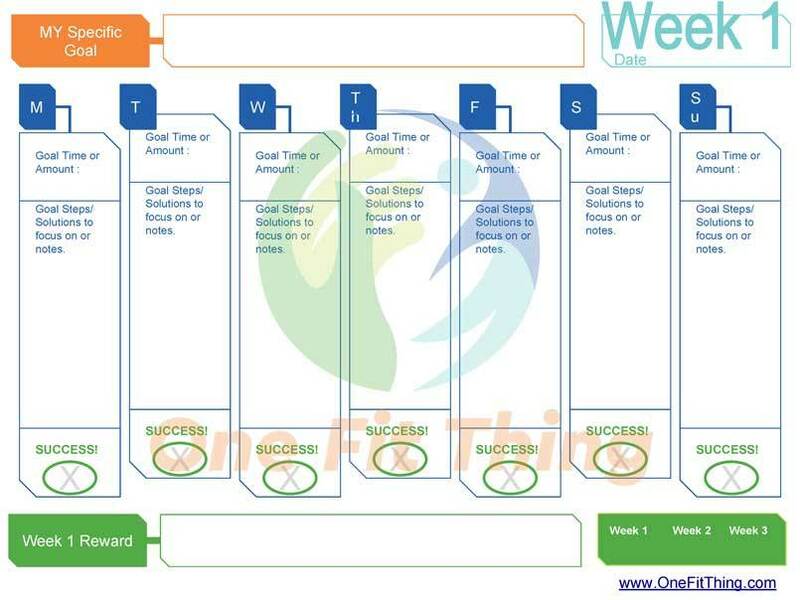 In SMART Goals to Guide Your Journey we discussed some information to help you make SMART goals. In this post I will give you some SMART goal tools for your journey. There are almost as many tools as there are people. Not only does each person work a little differently, each goal will require a different level or structure / effort. 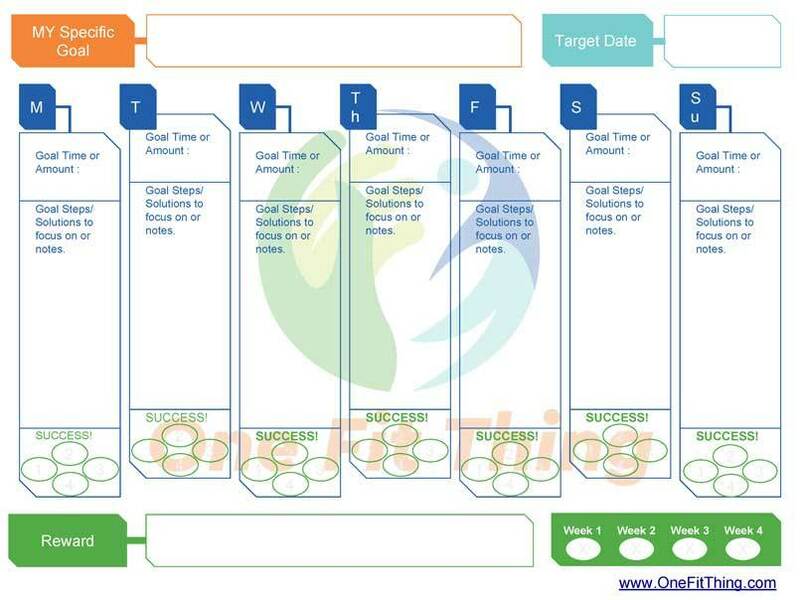 Take some time to determine which tracker will work best for to ensure that you will SUCCEED. Please remember to be honest. This is for you! I outline 4 different tracking tools below. Each title is a link to a detailed page about that tool, so feel free to explore. Remember when making SMART goals to pick goals that stretch you. You don’t want a goal to be so easy that it takes no effort to achieve it. By the same thinking don’t pick something that is improbable either. Go for something hard, but achievable. You will notice as you go through the months that you will be able to take on increasingly larger goals because you will be developing the skills needed to make them. You need to congratulate yourself and reward yourself for being successful! Just make sure that your rewards are representative of the amount of effort. If it was a really hard goal then give yourself a larger reward. Only you know what will motivate you to make your goals and only you know how big the effort is! Not all rewards need to cost money. Allowing myself to carve out time to go the beach and catch the sunset is a motivating award, even on a cloudy day I will find something to film. Hmm. So maybe for me just having time at the beach with my camera is the reward.. sunset or no sunset. Use the tools below. I will be updating the tools as I get feed back and as I continue to use them, so check back now and then. 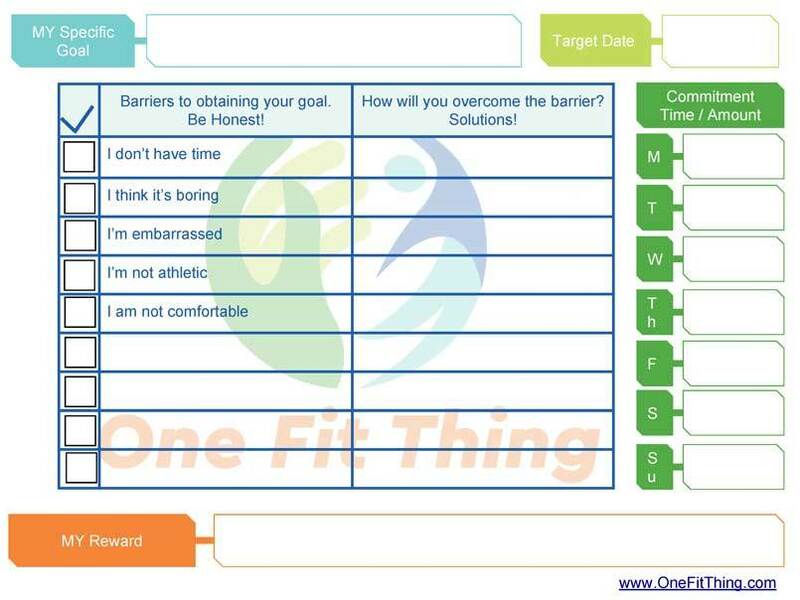 Use this worksheet to think about what might prevent you from reaching your goal and how you will OVERCOME the barrier. 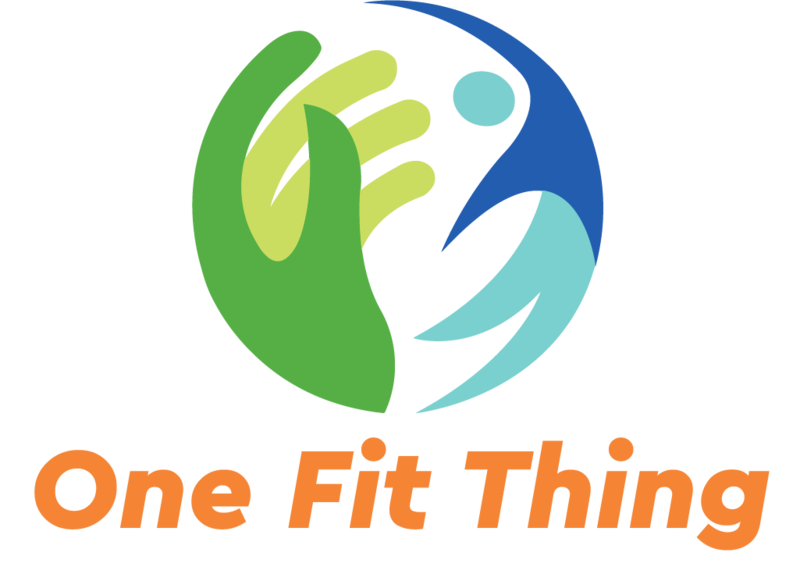 I found a few articles that may help you from the Mayo Clinic Barriers to fitness: Overcoming common challenges. Use this article if you are unsure of your barriers or how to overcome them. 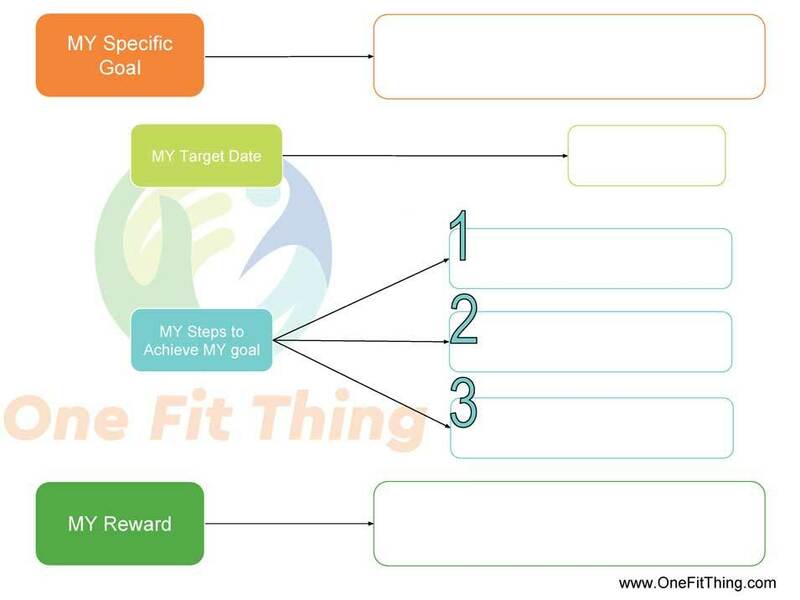 Use this form to track a goal that you need to take more slowly or have to ramp up/down. For example if you almost never drink water, you may want to split the SMART goal into smaller chunks.